Tal y como señalábamos hace unos meses Geotermia Andina firmó una carta de intención con Barrick Gold Corp. para el desarrollo del proyecto geotérmico “Los Despoblados” en San Juan, Argentina. A raíz de este proyecto se están evaluando otras 5 zonas situadas en el Valle del Cura que podrían contar con posibilidades de un futuro desarrollo. Estas zonas son; Chollay, San Crispin, Casa Pintada, Ciciliano y Los bañitos. The California Independent System Operator (ISO) maintains reliability and accessibility to one of the largest and most modern power grids in the world. Everyday it reports on the production of renewable energy in the Golden State as it strives to meets its target of 33 percent of electricity from renewable sources by the end of 2020. On Christmas Day, as Californian families sat down for a turkey, candied ham or tamales, renewable energy provided about 2,000 MWe, of a total of about 26,000 MWe load, at six o'clock in the early evening. The sun had set and it was not a windy day in the west. However, geothermal power provided a steady baseload supply of 928 MWe. Furthermore, geothermal power delivered the most electricity on Christmas Day, 21,354 MWh, over 40 percent of the total for renewables that day. Geothermal helped bring Christmas to California! Greenpower Energy of Freemantle, Western Australia, has raised up to A$976,632 in a partially underwritten rights issue that was offered on a 1 for 3 basis. The money will be invested in various power projects including a EGS geothermal exploration project. Greenpower Energy is conducting a desktop study of a geothermal project near Esperance in Western Australia and shallow investigatory drilling is likely in 2013. The company has also secured a state government co-funded drilling grant of $120,000 for the geothermal project under the WA government's Royalties for Regions program. Utah Geological Survey testing discovered a new type of high-temperature energy reservoir in the Utah-Arizona-Nevada Black Rock desert basin that showed a potential equivalent to California’s Geysers, the Calpine Corp. (CPN) fields that produce a third of the world’s geothermal energy." In closing the second full year of data collection within the State Geological Survey Contributions to the National Geothermal Data System project, we present a variety of success stories from the field. 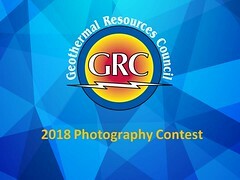 Some involve simple data collection, others involve new data exploration associated with the supplemental award provided by the Department of Energy’s Geothermal Technologies Program. We hope that you’ll enjoy these tales of geothermal and data preservation from across the nation. As a reminder, funding for this project was awarded to the Arizona Geological Survey on behalf of the Association of American State Geologists by the Department of Energy’s Geothermal Technologies Program as part of the American Recovery & Reinvestment Act. Piensa en Geotermia se ha puesto en contacto con Luis Carlos Gutiérrez Negrín para poder charlar sobre su cometido como nuevo presidente de la Asociación Geotérmica Mexicana y que nos dé su opinión sobre la actualidad geotérmica del país. Debido a que la entrevista contiene una gran cantidad de información muy interesante, hemos decidico dividirla en 3 partes. En un mediano plazo Costa Rica podría estar desarrollando un proyecto más para la producción de energía geotérmica. Esta tarde la Comisión de Ambiente que preside el Diputado Alfonso Pérez Gómez, conoció y adoptó como texto sustitutivo, el informe afirmativo de subcomisión del Proyecto de Ley Nº 17680 "Ley para el Aprovechamiento de la Energía Geotérmica (aprovechamiento de yacimientos de vapor en la tierra para producir electricidad) en el Área de Conservación Guanacaste". Aboitiz Power Corp. is hoping to renew its steam sales agreement with global energy giant Chevron for its 289 MWe Tiwi plants in Albay and the 458 MWe MakBan facilities in Laguna and Batangas. Chevron Geothermal Philippines Holdings Inc., a wholly-owned subsidiary of American firm Chevron, operates the geothermal production field that supplies the steam requirement of the Tiwi-MakBan facilities. Aboitiz Power’s existing agreement with Chevron will expire in May 2013. The company is hopeful that with the potential investment of the SM Group into Chevron, negotiations would gather pace. The Sy family has taken a 60-percent interest in Philippine Geothermal Power Production Co. Inc., a joint venture with Chevron. An expert in renewable energy financing has been appointed to the five-member California state commission overseeing privately owned utilities, including PG&E, Southern California Edison and San Diego Gas & Electric. Pending Senate confirmation, Carla Peterman, 34, of Sacramento, currently with the California Energy Commission, will joint the California Public Utilities Commission. She replaces Timothy Simon, a former securities and banking industry attorney, whose term ends at year's end. In just two years, Gov. Jerry Brown has reshaped the California Public Utilities Commission, hand picking four of its five members. The utilities commission is poised to make key decisions in 2013 that will re-calibrate local utility rates, influence the future of the idled San Onofre nuclear plant and determine private incentives for energy conservation and renewable energy projects such as wind, solar and geothermal plants. Maibarara Geothermal, Inc. (MGI) has signed an interconnection agreement, with Manila Electric Company (MERALCO), for the physical interconnection of the generation and connection facilities of MGI's 20 MWe power plant to MERALCO's distribution system. The Philippines government wants the country to be the world’s largest producer of geothermal energy by increasing its installed capacity to 3,307 MWe from 1,902 MWe by 2030, an official of the Department of Energy (DoE) has said. "Our plan is to be the largest producer of geothermal energy in the world by 2030. We will need around 1,405 MWe of additional capacity by 2030," Ariel D. Fronda, chief of the DoE’s geothermal energy management division, said in a phone interview. "This means an increase of around 75% by 2030. This plan is part of the renewable energy program, which in turn is part of the Philippine Energy Plan of 2012 to 2030," Mr. Fronda added. U.S. Geothermal Inc. announced today that it has entered into agreements with a number of investors, pursuant to which they have agreed to acquire, in total, approximately 11,810,816 units of company stock at a price of $0.37 per Unit. Each Unit consists of one share of common stock of the company and one half of one common stock purchase warrant. Each warrant will entitle the holder thereof to acquire one additional share of common stock of the company for a period of 60 months following the closing of the offering for US$0.50 per share of common stock. The gross proceeds of the unit offering are expected to be approximately US$4.37 million. The Oregon Department of Geology and Mineral Industries has published a new map showing hot springs, volcanic vents, test wells, and other geothermal resources across the state. Naturally occurring hot water and steam found mostly in volcanic parts of the West can be used to heat homes and generate electricity. Clark Niewendorp, a GRC member, who developed the map, says existing geothermal technology requires hot water that’s between 70 and 90 degrees Celsius (or between 158 and 194 degrees Fahrenheit) for commercial power generation. Shares of renewable energy in the national gross final energy consumption as well as the indicative trajectory for 2011 and the renewable energy target for the top 10 EU countries for the year 2020. The EurObserv’ER Barometer regularly publishes indicators reflecting the current dynamics in renewable energies (solar, wind, hydropower, geothermal and biomass, biogas, biofuels) worldwide and within the European Union (EU). The latest report on the state of renewable energy in the EU has some positive news. The renewable energy share of gross final energy consumption in the European Union amounts to 13.4% in 2011 against 12.5% in 2010, an increase of 0.9 percent. The report attributes the increase to more renewable energy being available against less energy consumption. Contact Energy's Te Mihi geothermal power station, northwest of Taupo on the north island of New Zealand, is coming to life as progress on construction continues. Contact spokeswoman Vanessa Lai said they are now moving into the start-up phase of the project. "The team on site have recently installed the first steam turbine unit and is well advance constructing the second unit, which will be responsible for generating electricity for the power station." With more than 500 working on site, the 166 MWe power station is due to be completed mid- 2013 and will provide enough renewable energy for 160,000 homes. Panax Geothermal, based in Queensland, Australia, remains confident that the Power Purchase Agreements for its Indonesian geothermal projects are progressing through the execution process within the Indonesian Government. It noted there were no impediments or issues relating to the execution of the agreements and that progress was being followed up on a daily basis to ensure that it is completed as soon as possible. Discussions with interested financiers – predominantly Asian, and a well known Asia-based equity fund in particular – is also progressing, with Panax expecting to make an announcement early in 2013. Panax also expects to receive a A$300,000 research and development tax rebate in January 2013. 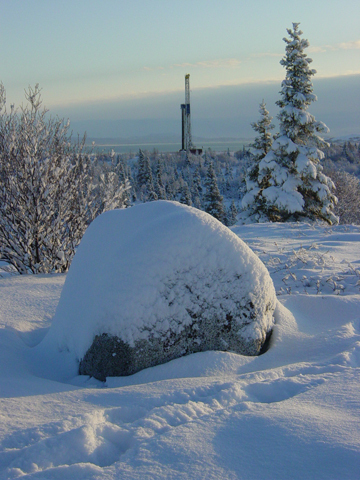 After several painfully slow years for U.S. geothermal developments, industry advocates will be glad to hear that 2012 turned out to be one of those most successful years in the past decade. With more than 100 MWe of capacity brought online and plenty of burgeoning international markets, the geothermal industry has reason to celebrate – despite some nagging ongoing barriers to development. Ram Power, Corp., has announced that the Phase II expansion at San Jacinto-Tizate has been successfully synchronized to the Nicaraguan national integrated electrical grid. The Company expects commercial operation of the Phase II expansion to begin at the end of the month. In addition, the company received its final $18 million draw under the Phase II Credit Facility which will be used for payment of remaining Phase II construction costs, funding of project reserves and payment of interest during construction. The Workshop will take place starting on Monday 11th February at the Frances C. Arrillaga Alumni Center on the Stanford Campus. Walk-in Registration and a continental breakfast begin at 7:30 am on the first day. You can avoid the long lines to register by doing so in advance. Registration. Registration before Tuesday 1st January is discounted to $525, normal registration after Tuesday 1st January and before Friday 1st February is $575. Late (after Friday 1st February) or on-site registration will be $675. Student registration is $100. You can also print out the registration page and fax it to Stanford Geothermal Workshop at +1(650)725-2099. Blocks of rooms have been reserved at both the Sheraton and Stanford's SLAC Guest House. The Sheraton is offering a special rate of $199, when you tell them you are with the Stanford Geothermal Workshop. The SLAC guesthouse is offering a special rate of $119 and you need to mention the Geothermal Workshop. To obtain the group rate, reservations to the Sheraton need to be made before December 26 and those to the SLAC Guest House need to be made by December 26. At least four geothermal service contracts will be signed and awarded to project developers by the Philippines Department of Energy (DOE) before year 2012 winds up. A geothermal contract for the Negron Cuadrado prospect in Zambales and Pampanga will be awarded to AP Renewables, Inc. of the Aboitiz group, DOE director Mario Marasigan has confirmed. Three other contracts will be cornered by Basic Energy Corporation for the Iriga geothermal power project in Albay and Camarines Sur; Mariveles prospect in Bataan; and East Mankayan prospect along Ifugao, Benguet and Mountain Province. These contracts have been “waiting signing and awarding for 2012,” a document culled from the energy department has stipulated. Gradient Resources Inc., recently completed a $155M financing for construction of the first phase of its Patua Geothermal Project. 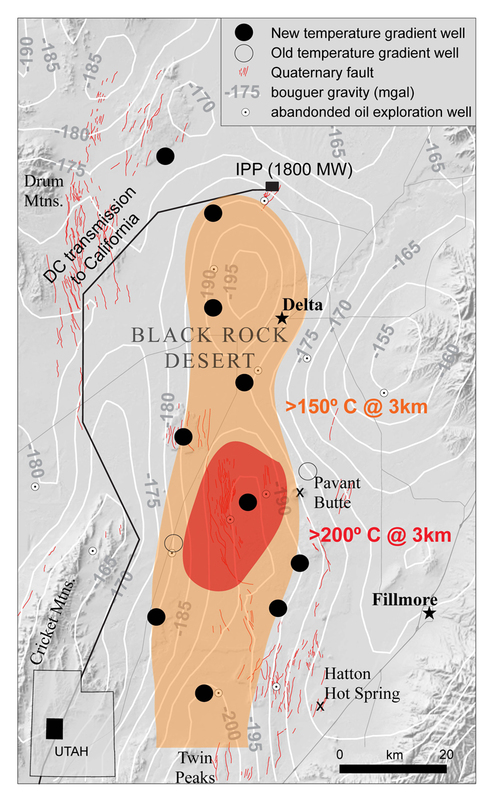 Initial work at the Patua site, located near Fernley, Nevada, began in 2011. The lending group, led by Union Bank, N.A., included Canadian Imperial Bank (CIBC), ING Capital LLC, and Siemens Financial Services. The Patua Project will proceed in phases, the first being 30 MWe, under a Power Purchase Agreement (PPA) with Sacramento Municipal Utility District (SMUD). Gradient’s Patua plant will become operational and is set to deliver power to the grid in September of 2013. Mitsubishi Heavy Industries pushes forward with continued growth and business expansion through acquisition of Pratt & Whitney Power Systems, which includes Italian Turboden, creating a much stronger player and increases market competition. On 5 December 2012, Mr. Stefan Larus Stefansson, ambassador of Iceland to Japan, delivered a lecture at the United Nations University (UNU) Headquarters in Tokyo. His lecture was part of the University’s Ambassador Lecture Series, a forum that provides an opportunity for UNU students, fellows and interns to directly engage with government officials on political, economic, and social issues. Amb. Stefansson spoke on the topic of geothermal energy utilization in Japan, advocating that the country should harness its enormous untapped geothermal energy resources by using Iceland’s 85-year history of success in this area as a model. The ambassador highlighted that this was his second time speaking on the issue at UNU, having previously participated in the Japan– Iceland Geothermal Forum in November 2010. U.S. Geothermal capacity additions are on track to top 100 MWe in 2012, making this year one of the best for geothermal deployment in the last decade. This could be a tentative sign that conditions have been improving for geothermal finance (traditionally, finance has been one of the principal barriers to the technology's wider adoption). Projects coming online this year have demonstrated some creativity in leveraging financial opportunities. From commercial debt, to federal incentives, to project bonds, the geothermal development community has demonstrated some creativity in leveraging alternative financing options. However, as federal incentives expire, and as macroeconomic shifts in the debt markets play out over the next several years, developers will need to continue their search for progressive financing strategies if they want to expand on this year's uptick in capacity deployment. And with as much as 872 MWe of confirmed geothermal projects in the early stages of development and looking for capital, there are gains to be had if developers can find novel ways of opening the taps. 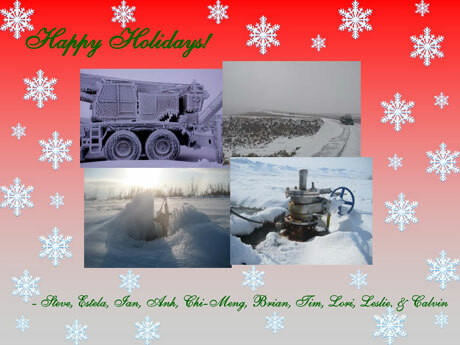 The U.S. Geothermal Energy Association (GEA) looks back on the domestic geothermal power industry in 2012. In 2012, seven new geothermal projects and additions came online in three different states, totaling 147.05 MW of gross capacity. This represents the second highest increase in geothermal power capacity over a calendar year since the production tax credit (PTC) was extended to geothermal in 2005, and a 5% percent increase over 2011 year-end data. The capacity added in 2012 would meet the residential needs of a city the size of Vancouver, Washington or Kansas City, Kansas. With 128 megawatts of geothermal coming on-line in 2012, Greentech Media presents a geothermal year in review. More than 128 MWe of geothermal capacity came on-line in the U.S. in 2012, the second largest annual capacity addition since 2005.
to lower energy revenues earned at the portfolio's geothermal projects. CE Generation owns and operates ten geothermal facilities in the Imperial Valley of California. It is equally owned by MidAmerican Geothermal, LLC, an indirect wholly owned subsidiary of MidAmerican Energy Holdings Company and TransAlta (CE GEN) USA, Inc. , a wholly-owned subsidiary of TransAlta Corporation. persists over the next two years. New Zealand’s Maori Council, which represents the nation’s indigenous people, won the right to challenge the government’s plan to sell shares in state-owned energy companies. The New Zealand Supreme Court agreed to hear the appeal on Jan. 31 and Feb. 1, according to a posting on the court’s website today. High Court Justice Ronald Young dismissed the Maori challenge on Dec. 11, ruling the courts couldn’t review parliament’s decision to change the status of the companies from state-owned to mixed- ownership models to allow the sale. New Zealand’s government, is cutting non-essential spending and selling assets to speed up a return to surplus. The government forecasts it will raise at least NZ$5 billion over the next three to five years by selling as much as 49 percent of Mighty River Power Ltd. 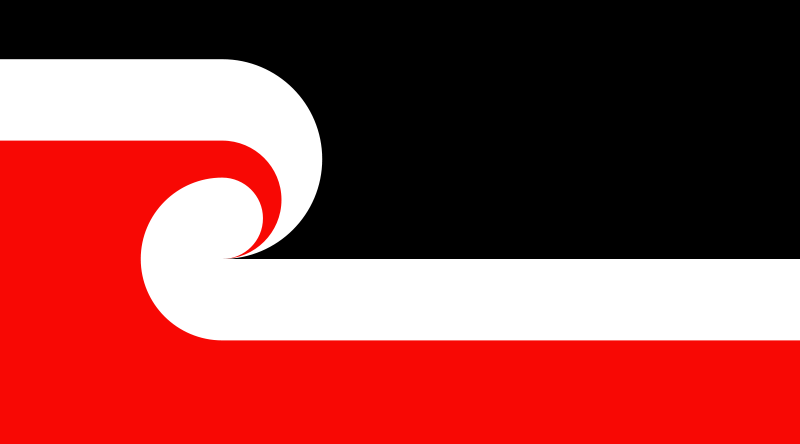 The Maori Council and groups supporting it claim the asset sales would be unlawful because they ignore outstanding Maori claims to freshwater and geothermal resources. The European Geothermal Energy Council (EGEC) has published their latest newsletter. 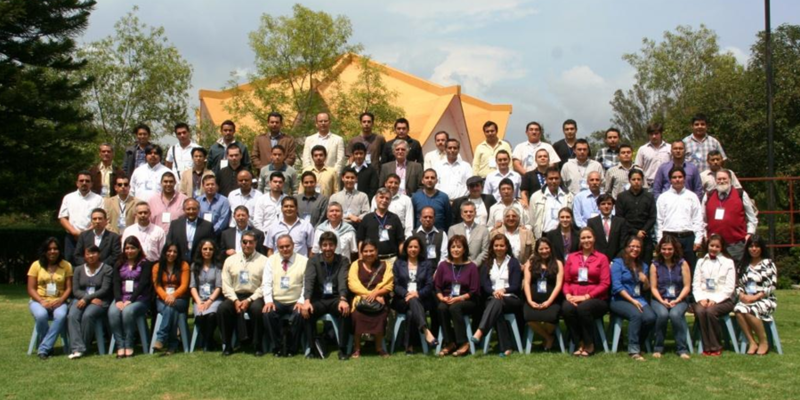 The Chilean Geothermal Energy Association (ACHEGEO) has released the program for the 2nd International Geothermal Congress to be held April 11-12, 2013 in Santiago, Chile. The program, including a section in English, can be downloaded here. The chief executive of Antofagasta Minerals S.A. (AMSA), Diego Hernandez , spoke Monday of projects in the field of non-conventional renewable energy (NCRE), particularly geothermal, by Energía Andina , a company 60% owned by AMSA and 40 % by Australia's Origin Energy. 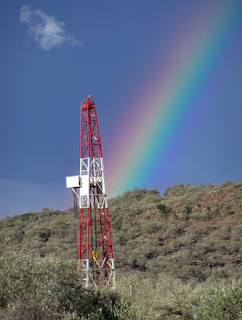 Energía Andina has stated that they will invest $ 50 million in geothermal exploration tasks during 2013. The Lake County Planning Commission on Thursday voted unanimously to approve Calpine's request for a 30-year use permit extension on its Davies Estate geothermal drilling site. Despite concerns about seismicity voiced by the residents of the nearby community of Anderson Springs – they asked that the seismicity issue be made a part of the permit – the commission found that extending the use permit until Aug. 11, 2043, met the standards of a Class 1 Categorical Exemption under the California Environmental Quality Act, or CEQA. 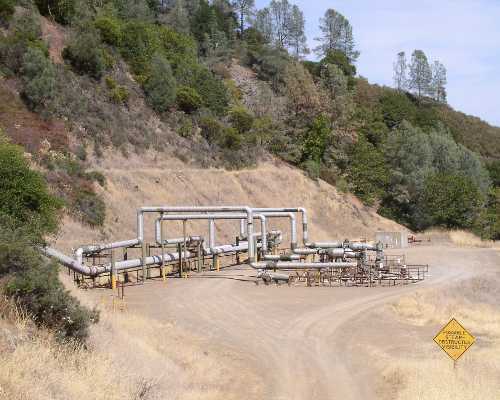 County staff reported that the permit, first issued by the commission in October 1983, allows for a total of four geothermal wells on an existing pad, as well as accessory roads and pipelines. In its latest Energy [R]evolution scenario, Greenpeace gives an optimistic outlook for renewables' ability to diminish the risks of climate change from CO2 emissions. While the economic crisis has driven down profits, renewables are now 'directly competitive with heavily subsidized conventional generation in an increasing number of markets,' the report states. The authors now argue for a 'transformation', to a flexible system based on a wide variety of renewables. While the shift will require new infrastructure and storage, there are 'no real technical or economic barriers' to be overcome. 'It is the lack of political will that is to blame'. Within the renewables sector, a host of technologies will combine to replace traditional power installations: Photovoltaics, Concentrating solar power (CSP), Wind power, Biomass, Ocean energy, Hydropower, and last but not least, Geothermal. Enhanced Geothermal Systems (EGS) and the improvement of low temperature power conversion could make it possible to produce geothermal electricity anywhere. Assuming global growth of 15% per year up to 2020, adjusting to 12% up to 2030 and still 7% per year beyond 2030, a cost reduction potential of more than 60% by 2050 is feasible. For conventional geothermal, costs are expected to be $0.15/kWh-$0.09/kWh. Production costs for EGS are expected to fall to around $0.8/kWh, compared with the current $0.20-0.30/kWh. The signing of a Memorandum of Understanding, which took place during Prime Minister John Key’s visit to Jakarta in April this year, has begun to actualize for geothermal energy in New Zealand. The MOU with state owned Pertamina Geothermal Energy (PGE) presents a range of collaborative agreements, and on the 7th of December the Pertamina Learning Centre in Jakarta launched the Pertamina Corporate University. One of the university’s significant courses will be a Geothermal Master’s Degree program for Pertamina’s employees run by Indonesia’s Bandung Institute of Technology (ITB) and Auckland University. The first program to run will initiate 21 employees from PGE. Today, the U.S. Trade and Development Agency (USTDA) awarded a $546,766 grant to PT Teknosatria Energi Geothermal (TEG) to partially fund a feasibility study for a 30 MWe geothermal power project at the Cibuni site in West Java, Indonesia. TEG is a private Indonesian company established to develop the geothermal project and is part of the PT Satria Gemareksa group. The Maori Council will reveal within days whether it will take its legal bid to delay the sale of Mighty River Power directly to the Supreme Court or the Court of Appeal after the High Court ruled against it yesterday. The High Court's Justice Ronald Young comprehensively rejected the Maori Council's case in his judgement released yesterday. In a three day High Court hearing late last month in Wellington the council argued the Government should establish the extent of Maori ownership rights over freshwater and geothermal resources and make redress for them before the partial sale of Mighty River and other power companies under its "mixed ownership model". Blending with Nature by Abraham Sam Samuel. Investors in geothermal energy in Kenya will be spared much of the upstream costs of production after the Geothermal Development Company (GDC) extended its role to drilling. GDC Managing Director Silas Simiyu said investors will henceforth only be required to raise capital for building power stations, in a change of tack aimed at reducing the cost of exploiting steam as a source of energy. GDC will henceforth carry out service exploration and exploitation of steam resource as well as drilling, leaving public sector power generator KenGen to compete with private investors for licences to build power stations. The change follows failure by licensed companies to drill and prove availability of steam as per contractual terms. Following the change, licences held by KenGen for wells with a potential of 280 MWe in Olkaria will run on a revenue-sharing basis. Geothermal Development Company (GDC) is looking to generate revenue from its planned geothermal project in Menengai by selling carbon credits. The company yesterday said it is working on modalities of registering the Menengai Geothermal Project under the Clean Development Mechanism of the Kyoto Protocol, which is under the aegis of the United Nations Framework Convention on Climate Change. Successful registration of the proposed 400 MWe project could prove a significant revenue stream for the state-funded GDC. Under the Kyoto Protocol, heavy polluters that exceed their emission levels can buy credits from companies implementing projects that help in absorption of harmful gases from the environment. The degree of pollution is measured by the amount of carbon dioxide and other greenhouse gases that a company emits. Geothermal electricity generating projects are among those that seen as green, in that they do not harmful gases into the environment. PT Indonesia Infrastructure Finance (IIF) will soon provide assistance for the construction of a geothermal power plant (PLTP) in Central Sulawesi, following the signing of a Memorandum of Understanding (MOU), with the Sulawesi provincial government, to guarantee the utilization of the geothermal funding facility (FDG). The project itself, will be built in Sigi and the Central Sulawesi town of Palu. The project is being developed under a public private partnership, and therefore assistance is provided to secure funds through FDG. Contact Energy Limited's (Waikato, New Zealand) 166 MWe Te Mihi Geothermal Power Station has reached the halfway point in its construction phase and has a completion target of August 2013. The geothermal plant is being built in the Te Mihi area of the Wairakei Geothermal Steam Field, which is north of Taupo, Waikato, in New Zealand. From fossil fuels to geothermal heat, accessing the planet's energy riches usually involves boring deep into the Earth with giant metal drills. But could lasers do the same job? Foro Energy, a start-up company in Littleton, Colorado, has developed what it claims is an inexpensive system of high-powered lasers that can rip through rock, potentially revolutionizing drilling and hastening the adoption of greener forms of power. Foro announced last month that a test system had sent a beam from a 20-kilowatt commercial laser through 1.5 kilometers of optical fiber. Development has been funded by the U.S. Department of Energy's research arm, ARPA-E. Borehole drilling trials are planned for next year. SM Investments Corp., the holding company of the SM Group of Companies, acquired a 60-percent stake in a geothermal unit owned by Chevron Corp., an executive of SM Investments said Wednesday night. SM Investments purchased the majority of Philippine Geothermal Production Co., the wholly-owned unit of Chevron Geothermal Inc. that was formed to explore and develop geothermal energy sources in the country. SMIC chief operating officer Jose Sio said Chevron Geothermal Inc. picked SMIC as partner to comply with the ownership limit requirement of the Philippines Geothermal Law. Chevron will own the balance of 40 percent. “Chevron is 100 percent owned by U.S. Chevron… There is a law that they have to reduce their ownership from 100 percent to 40,” Sio said. He declined to provide details on the financial transaction. Chevron is operating the steam fields of the Tiwi-Makban power geothermal plants in Laguna and Batangas under an agreement with state-owned National Power Corp.
U.S. Geothermal Inc., provides this update on the Neal Hot Springs project located near Vale, Oregon. Unit 3 currently online and was recently synchronized to the grid. Gross generation from Unit 3 is 8.7 MWe operating in sub critical mode. The three modules are still undergoing various mechanical and control system adjustments, tests and modifications to meet overall design criteria. The project contractor is expected to complete work during the first quarter of 2013. PT Supreme Energy has announced it is preparing to build a five-point access road to enable the start of drilling in early 2013, in the area of Mount Rajabasa, in Lampung province, according to the President and CEO of the company. Supreme Energy expects to start operation of the plant in 2017, providing a planned power generation capacity of 2×110 MWe and could fuel the complete electricity demand of the province. The Kenya Electricity Generating Company (KenGen) has released details of the planned resettlement of communities at Olkaria set to cost over Sh580 million. The power producer is planning to put up a 140 MWe geothermal plant which is expected to negatively affect the community living in the area through noise and emissions. The listed corporation says the cash, part of which is expected to come from the World Bank, will be used to construct houses and other amenities for people living on the site where the Olkaria IV power project will be set up. When speaking to a geothermal advocate, it is likely that they will express a common frustration about the industry: geothermal, unlike wind and solar, is a baseload, guaranteed source of steady power, so why isn't there enough favorable policy in the U.S. to help the industry grow? During the geothermal policy panel discussion at the Renewable Energy World North America Conference and Expo, co-located with POWER-GEN International, panelists described the scene in the U.S. government and expressed concern over the fact that if something doesn't change, the U.S. geothermal industry might get left behind. Slovakian company Geothermal Anywhere has been ranked as one of the Top 25 best European high-tech companies at the European Venture Contest 2012. The high tech company based in Bratislava, Slovakia and London, UK, has been developing a concept of a cost effective deep drilling system that could help revolutionize the development of EGS projects. The 600 year old Manchester Cathedral in northern England will close for 9 months next year to allow for renovations, including a geothermal heating system. At present the heating of the Cathedral only operates at 15 per cent capacity - the solder on the copper pipes inserted during the post-WWII repairs having failed. An intriguing aspect of the new work is the geothermal solution. Boreholes will be drilled deep into the earth and the heat from the geology under Manchester, used to provide 80 per cent of the Cathedral's heat. Pratt & Whitney is selling its turbine business in order to better focus more on its core aerospace and commercial businesses. Terms of the sale of the Power Systems segment to Mitsubishi Heavy Industries were not disclosed Wednesday, but the deal is expected to close in the second quarter of 2013. Pratt & Whitney, subsidiary of United Technologies Corp., applied its airplane engine technology to industrial gas turbines, which use heat from geothermal or other heat sources to vaporize a fluid with a lower boiling point. The vapor creates pressure to power a turbine that generates electricity. Ram Power, Corp. announced today that it has terminated its power purchase agreement (PPA) with Nevada Power Company (NV Energy) for the sale of power from its Clayton Valley geothermal power project located in west central Nevada. The PPA termination will allow the Ram Power to refocus its capital resources on its operating project in San Jacinto, Nicaragua. New Mexico State regulators have approved the Public Service Company of New Mexico (PNM)'s renewable energy procurement plan for 2013 including plans for a geothermal PPA. PNM, the largest electric utility in New Mexico, says it plans to enter into a 20-year contract to purchase 10 MWe of geothermal power from the Lightning Dock geothermal power plant near Lordsburg, operated by Cyrq Energy Inc. The plant, expected to come on line in January 2014, is the first utility-scale geothermal project under construction in New Mexico. A change to the text of a wind-power tax credit would increase investment in several other types of renewable energy including geothermal, industry groups told President Obama. The groups say that while credits for their industries are locked in through 2013, altering the incentive’s language within the Senate Finance Committee’s tax package would boost investment for 2013. The change would allow geothermal, hydropower, waste-to-energy and biomass projects under construction before 2014 to collect a 2.2-cent per kilowatt-hour credit for power production. Currently, those projects must be in service by 2014 to receive the incentive. “A rule that will allow renewable projects to go forward based on when construction begins is a major policy improvement that will allow many more clean energy projects to move forward,” the groups told Obama in a letter dated last week and obtained Tuesday by The Hill. Last night, Renewable Energy World network editors announced the project of the year winners at an Awards Gala during Renewable Energy World Conference and Expo, North America, which is co-located with Power-Gen International. Best Geothermal Project: Hudson Ranch I (now the John L. Featherstone Plant), owned by EnergySource in Imperial Valley, Calif.